This plant has been known in Asia for ages. It offers excellent hair nourishing and repairing properties, therefore it is still used and appreciated by Hindu women. Brahmi is a green plant that is soaked in a natural oil (e.g. coconut) in order to become a perfect hair conditioner. All valuable ingredients of brahmi go straight to the oil. What does brahmi oil contain? Most of all, brahmi contains flavonoids that get rid of free radicals as well as remove toxins from the cells and prevent them from penetrating inside the hair. What is more, brahmi oil is abounding in phytosterols which are beneficial to hair and skin thanks to an extraordinary ability to stimulate the synthesis of collagen. Phytosterols also allow brahmi oil to moisturise your hair, and provide anti-inflammatory and anti-fungal properties. As a result, the scalp is clean and healthy. Steroidal saponins included in brahmi enhance blood vessels thus guarantee better absorption of the oil. Moreover, brahmi – mixed with a natural oil – has a beneficial influence on your hair thanks to good fatty acids included in a given oil. 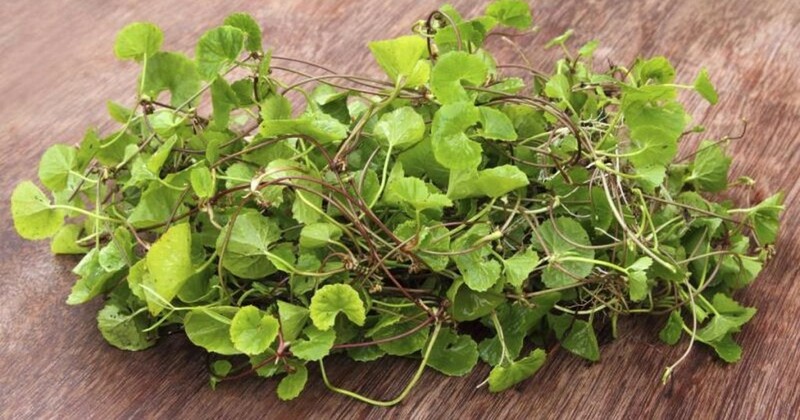 What are benefits of brahmi for hair? Not only does brahmi oil tackle hair loss and brittleness but also boosts hair growth and adds density. Brahmi controls processes on the scalp, slows down hair ageing and graying. Regular use of brahmi delivers gloss, vitality ad strength. It makes hair bulbs stronger for healthy and fast growth.